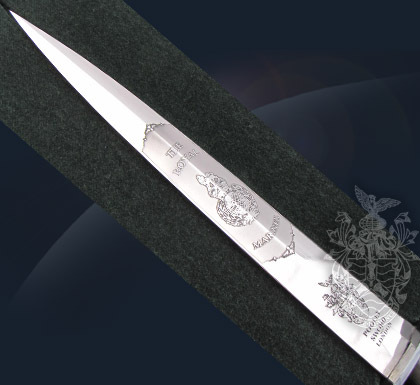 This FS Knife was produced to mark the 350th Anniversary of the Royal Marines, in 2014. 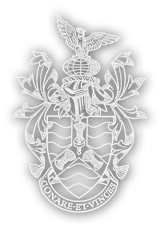 They were first formed on the 28th October 1664 when an Order-in-Council was issued calling for 1200 soldiers to be recruited for service in the fleet, to be known as the Duke of York and Albany’s Maritime Regiment of Foot. As the Duke of York was the Lord High Admiral it became known as the Admiral’s Regiment, to be paid for by the Admiralty. They were therefore not only soldiers but also seamen, a role which continues to this very day, now known as a Commando Force who, in recent years have been heavily involved in overseas operations working alongside their colleagues in the British Army and Royal Air Force. 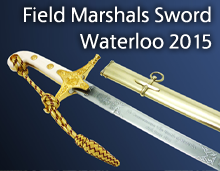 This sword is not currently in production.